The Party Wall Surveyors (or the “Agreed Surveyor” if the two owners can concur in a single appointment) will prepare a document known as a “Party Wall Award” (sometimes called a “Party Wall Agreement”).This document sets out certain guidelines in relation to how the work should proceed and covers items such as working hours, contractor’s insurance and access for the surveyor(s) during the course of the works. If you do not think your neighbour is likely to consent to the planned works it is worth involving a Party Wall Surveyor at an early stage. The process starts with the service of notice (although the writer suggests that an informal discussion with your neighbour before the notice drops through their door will help to smooth matters later). Although template notices are widely available it is worth remembering that if they do not contain all of the necessary information, or are not properly served, they will be invalid. The most time consuming task that the Party Wall Surveyor performs, prior to the work commencing, is the preparation of a schedule of condition of the adjoining property. It is essential that this is done accurately so that any damages can be properly attributed. If there are two surveyors this is prepared by the Building Owner’s surveyor and proofed by the Adjoining Owner’s surveyor. An important point to remember is that once a surveyor is appointed under the Act, whether as the “Agreed Surveyor” or by either owner, they have a duty to act in an entirely impartial manner. Owners often find this part of the Act hard to swallow; after all they appointed the surveyor so he should bloody well fight their side of the argument. It might be tempting for a building owner to try and get rid of an intransigent surveyor but alas under the Act this is not possible. Once a Party Wall Surveyor has been appointed they cannot be changed. Finally we come to fees, under all normal circumstances these are paid by the building owner. It is difficult to talk in figures as they vary widely from job to job and surveyor to surveyor. 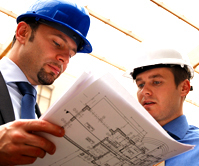 Surveyors appointed by the building owner tend to quote an hourly rate; £80.00 to £120.00. Fees charged by adjoining owner’s surveyors range from £800 to £1300 per award.